World-renown novelist and poet Ismail Kadare in Jerusalem to receive top literary award, notes close ties between Jews, Albanians. 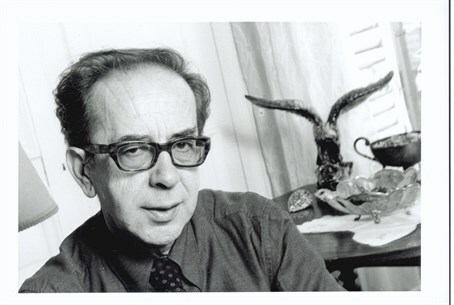 World-renown Albanian human rights author Ismail Kadare is in Jerusalem this week to receive the Jerusalem International Book Fair Literary Award. Kadare, who has been suggested as a Nobel Price candidate on several occasions, is a prolific novelist and poet, whose works have been published in a staggering 30 different languages throughout 40 different countries. He served for a time as an MP in the Albanian parliament under communist rule, before seeking asylum in France after facing the ire of authorities for criticizing the government. Speaking to journalists at the Jerusalem Press Club on Sunday, Kadare attempted to steer clear of politics altogether - even resisting the determined prodding of a Haaretz journalist who, true to form, did her very best to direct the (totally unrelated) conversation towards criticism of Israel's policies. But he could not help issuing a jibe at the country he was once forced to flee, and which he has often criticized in the past for its human rights record. When asked whether he saw any similarities between his home town of Gjirokastër and Jerusalem - both of which are dominated by old stone buildings - he quipped that apart from that resemblance there was none. "You can't compare between the great Jerusalem" and his hometown, he said with the help of a translator, because the former has produced "nothing of any note." Asked about the cultural similarities between Jews and Albanians, he pointed to the history of tolerance and friendship between his people and the Jews. He noted how during the holocaust Albanians refused to hand over Jews to the Nazis, and many went to great lengths to protect Jewish refugees who had fled there. To this very day Albania is a rare ally of Israel in the Muslim world, with good trade and diplomatic relations between the two. Kadare also noted that while Albania and Israel may be different in many ways, both their peoples share in common the experience of "fighting for survival" in a sometimes hostile neighborhood. "That includes the banning of the Albanian language" under the Soviets, he said - much as Hebrew was banned under communist rule. "Banning a language is also a way of trying to destroy a people," which is why literature is so important to him, he added. The theme of literature as a weapon is one Kadare often touches upon, having famously proclaimed that "dictatorship and authentic literature are incompatible. The writer is the natural enemy of dictatorship." The Jerusalem International Book Fair is taking place in from 8-12 of February in Jerusalem, at the First Station complex on David Remez Street. Events will also be held in the surrounding cultural institutions, including The Jerusalem Cinematheque, Mishkenot Sha'ananim and The Khan Theatre.